Yesterday, Chancellor George Osborne gave his Autumn Statement to Parliament; the final one before the next General Election. The big bonus from a consumer’s perspective was the announced changes to stamp duty which came into effect today (from midnight). Until now, stamp duty has always been a major issue and expense for all home buyers across the UK. The way it was structured meant that many were penalised due to the trigger points set. If you bought a property for £250,000 up until 3 December you would have paid £2,500 in stamp duty. However if that property cost you just a penny more, your stamp duty would have more than trebled to £7,500.03. £500.00 between £250,000.01 and £260,000. However, the changes don’t benefit everyone. Properties costing the most are now hit with a much higher stamp duty charge. For instance a property costing £2,500,000 would have previously resulted in stamp duty of £175,000 (7% of the property price). Under the new regulations the much higher rate at the top of the scale will see that stamp duty rise to £213,750 – effectively 8.55% of the property price. With the average UK house price at around £186,000 the majority of home buyers stand to benefit from the changes in stamp duty. At Mr Lender we wholeheartedly approve of measures such as these; stamp duty has always been considered a ‘bad’ tax so the new rates finally ease the burden on those buying a home. 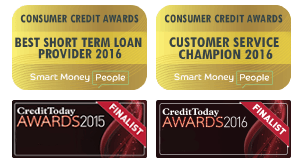 Mr Lender is a leading UK-based short-term credit provider. We provide payday loans and short-term loans of up to £1,000, repayable up to six months.